G-Lightweight is a family product of our G-series and is a major player in our catalog. The G-Lightweight is manufactured with an aluminium frame to reduce the weight. 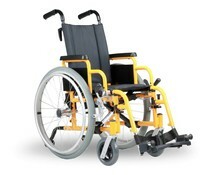 It has a very simple folding frame that is really easy to use. It can be specified with various options, based on your individual requirements. 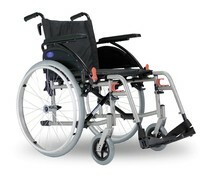 The Excel G-Lightweight is available as a self propel (24 "rear wheels) or as transit versions (12½" rear wheels).